Allergies. If you can’t beat them, predict them. And that’s exactly what Sickweather, the popular illness tracking app which powers illness forecasts for IBM’s Weather Company and the pharmaceutical industry, is doing. The mobile health app is forecasting a severe and active start to allergy season for many parts of the country. 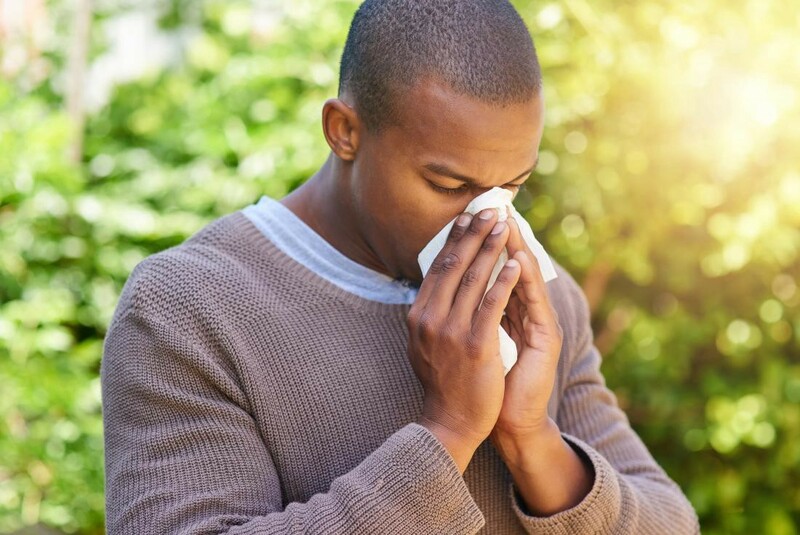 As some states continue to fight off the H3N2 virus, an early allergy season could mean a higher demand for OTC relief. Sickweather is predicting an earlier start to allergy season for parts of the South and Southwest, and it will continue to peak until mid-May before slowing down. For the North and Midwest, allergy season won’t be here for another two weeks — but it will last longer and be more severe compared to 2018. 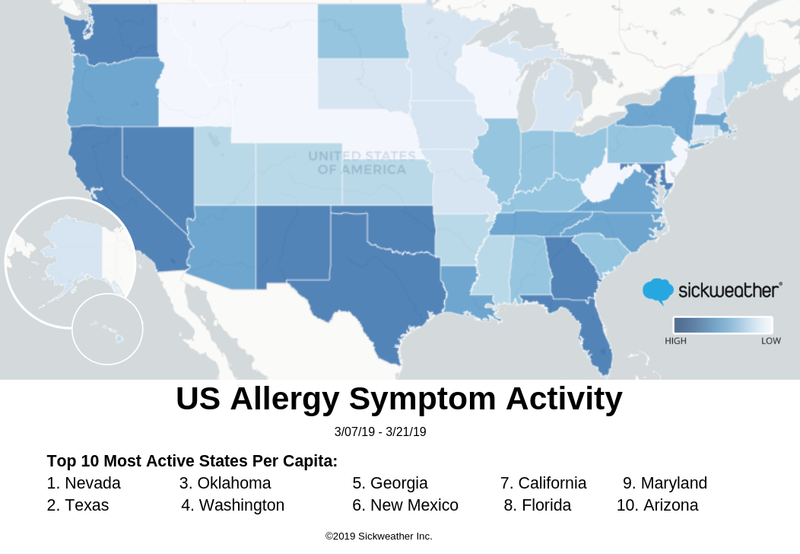 Sickweather has compiled a list of the Top Ten states where allergy activity is currently highest. The most “at risk” states from highest to lowest are: Nevada, Texas, Oklahoma, Washington, Georgia, New Mexico, California, Florida, Maryland and Arizona. “If you’re an allergy sufferer and you’re living in the South or Southwest, now is the time to take a trip to your local pharmacy and stock up!” concluded Edelman. World's first real-time map of human health | Largest illness crowdsourcing community | Serving over 5 billion requests per month.